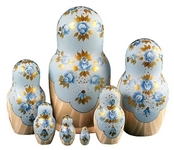 We are glad to present you absolutely new nesting doll Cinderella. This doll is really work of art. The artist used to egg tempera paint, pearl paint and sparkle in this work. 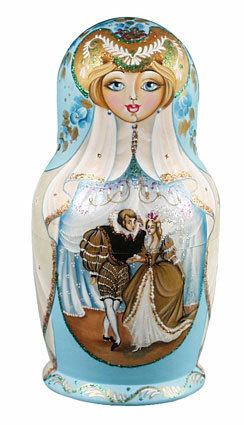 Each fragment from the fairytale was painted fine and detailed. 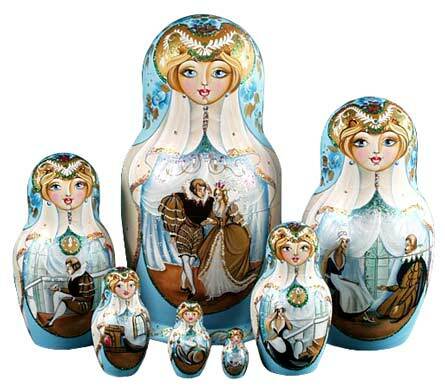 There are 5 figures with fragments from the famous story Cinderella . 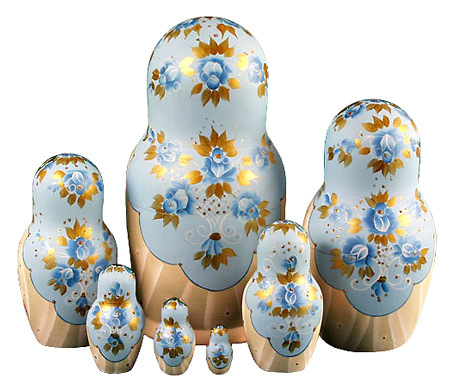 The tallest one is 6", the smallest - 1 1/4".